China is continuing to censor the internet and block various websites, which is causing many people to look for the best VPN for China. Whether you are in Shanghai or Beijing, we’ll give you everything you need to know for using a VPN in China, without getting blocked. Unfortunately, most VPNs in China are now blocked due to advanced censorship efforts and deep packet inspection (DPI). Thankfully, there are still a handful of VPNs that can effectively defeat these VPN blocks and easily get around the Great Firewall, thanks to obfuscation features, which we’ll explain more below. Even with the latest round of censorship and VPN blocks, the VPNs in this guide are still working well without any issues! So what can you do with a VPN for China? Easily break through the Great Firewall and access any online content you want. Not another useless “VPN for China” guide – Having lived and worked in Shanghai, I personally know how frustrating Chinese censorship and the Great Firewall can be. I have researched and tested over 100 different VPNs over the past 4+ years, and I know the best ways to use a VPN in China. This guide will give you everything you need to know, with step-by-step instructions for each of the recommended China VPN services. ExpressVPN – One of the most popular China VPN services with excellent speeds, secure apps, and great support. VyprVPN – A secure and high-performing VPN that will get through the GFW with their Chameleon protocol. VPNArea – A privacy-focused VPN service with good apps and features. 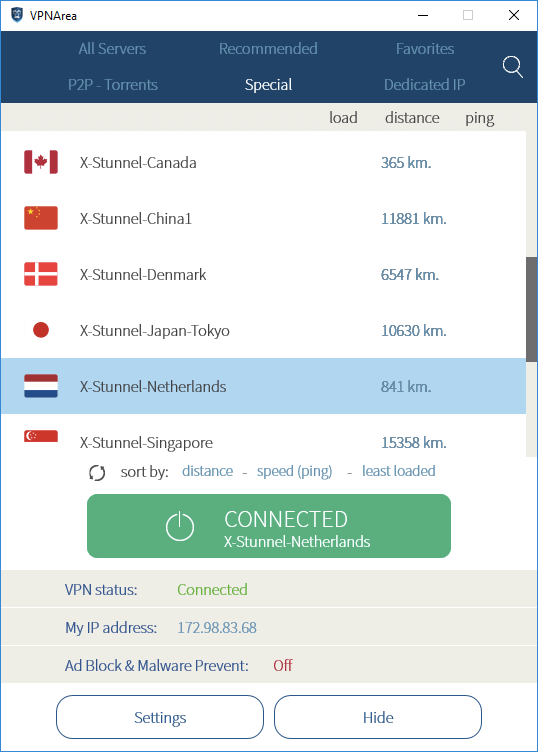 NordVPN – A good, low-cost VPN with a large server network. VPN.ac – This is a great China VPN with secure and reliable apps. Below in the VPN China reviews section we’ll take an in-depth look at each of these providers, as well as covering step-by-step installation instructions. The best VPN for China that consistently works and gets through the Great Firewall is ExpressVPN. While it’s not the cheapest option, ExpressVPN offers the best speeds, security, and up-time (in China) of all the VPN providers I’ve tested. ExpressVPN is offering a coupon for 49% off and three months free (applied on the checkout page). 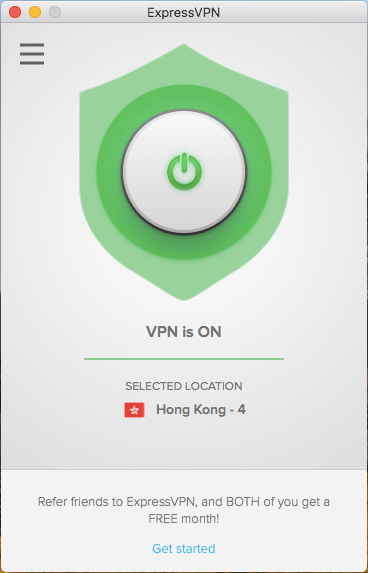 A very close second for the best VPN in China is VyprVPN. It offers some of the best speeds and uptime in China, as well as very advanced obfuscation technology called the Chameleon protocol. VyprVPN is currently offering a special 68% discount on select plans. Now we will take an in-depth look at each of the best VPNs for China. IMPORTANT: Before you get to China, be sure to download and install your VPN service on all the devices you want to use. This is because VPN websites will be completely blocked in China, therefore limiting your access and ability to any VPN provider. If you are already in China and need a VPN, you can go to VyprVPN’s mirror site here (not blocked in China) to get started and download all the software you need. ExpressVPN is the go-to choice for people in China looking to easily get around censorship and also achieve great speeds. While it is slightly more expensive than other options, it remains the best solution for those in China who are looking for a fast, consistent solution to avoid all internet censorship. It is also currently the best VPN for Netflix, which also works for people in China. Another advantage with ExpressVPN is that you can use their VPN on all types of devices – from computers and phones to tablets, routers, and TV boxes. Their customer service is also top notch with 24/7 live chat support and numerous information guides on their website here. ExpressVPN allows all torrenting on all their servers and is one of the few no logs VPN services that have been proven in real life. Their applications utilize very advanced leak protection settings, which will secure your data from any leaks. The ExpressVPN apps also have a “Network Lock” feature to ensure all traffic is encrypted through the VPN, even if you are internet connection temporarily drops. ExpressVPN Deal: ExpressVPN is currently offering a coupon for three months free and 49% off here. Note that all ExpressVPN subscription plans come with a 30 day, no-hassle money-back guarantee. Log in to your account and download the software for the devices you want to use with the VPN. Open the ExpressVPN app, then enter the activation code (from your account page). Now connect to one of the servers designated for China users (ask support which servers to use – not all servers will work from China) and then use the internet as normal. Enjoy using ExpressVPN in China and unblocking all online content. Another great China VPN that consistently works and offers great performance is VyprVPN. VyprVPN utilizes an advanced obfuscation method that they call the Chameleon protocol. This is a self-developed OpenVPN protocol that obfuscates all VPN traffic to look like regular HTTPS encryption. 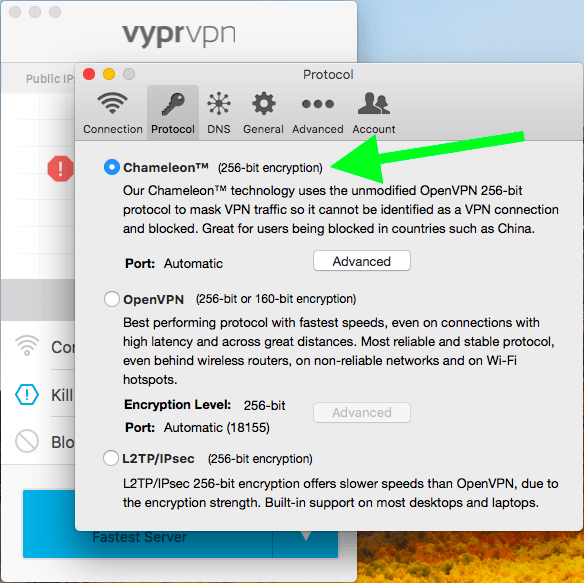 When you use the Chameleon protocol with the VyprVPN apps, you’ll be able to easily get through the Great Firewall of China. Another great aspect of VyprVPN is that they physically own every VPN sever in their network – in other words, no rented servers. This provides VyprVPN users with excellent security and also helps to ensure the best speeds. VyprVPN recently updated their network infrastructure and I’ve found the speeds to be excellent – see the VyprVPN review for test results. VyprVPN offers great apps for Windows, Mac OS, iOS, Android, and routers. 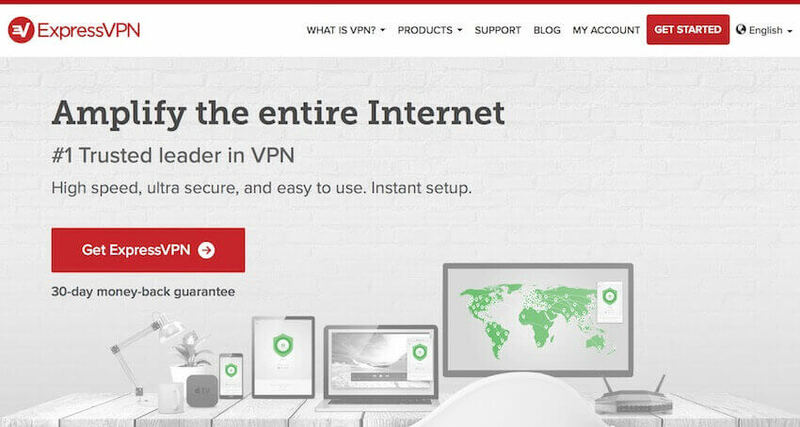 All VyprVPN subscription plans come with a 30 day money-back guarantee – get the most savings with VyprVPN’s 68% off coupon here. Download the VyprVPN apps for the devices you want to use. Then connect to the fastest server, or pick a server location from the map. Enjoy using VyprVPN in China and getting through the Great Firewall. Get 68% Off VyprVPN’s two-year plan. 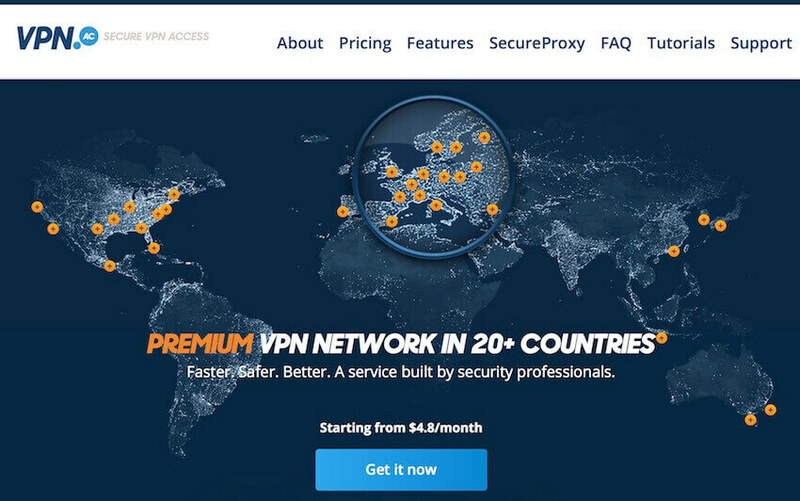 VPNArea is a no-logs, Bulgaria-based VPN provider that will get around censorship in China. It offers obfuscation (stealth VPN) for both Windows and Mac OS directly in the apps. If you are looking to stream Netflix or BBC iPlayer, VPNArea is also a great choice with dedicated Netflix streaming servers. VPNArea also allows torrenting without any restrictions. The latest speed tests for the VPNArea review were excellent, as were all of the security tests with VPNArea’s applications. Another great feature with VPNArea is their ad-blocking DNS servers and leak protection settings. VPNArea offers 24/7 live chat support. Every plan comes with a 7 day money-back guarantee, and they also permit account sharing with six simultaneous connections per account. First go to the VPNArea website and purchase a subscription. Download the VPNArea apps for the devices you want to use in China, then log in through the app using your account credentials. Open the app then click Servers > Special > and select one of the “X-Stunnel” servers. The obfuscation protocol (Stunnel) will work automatically with any of these servers. Once connected to one of the X-Stunnel servers, you will have full access to all websites that are blocked in China (and anything else). 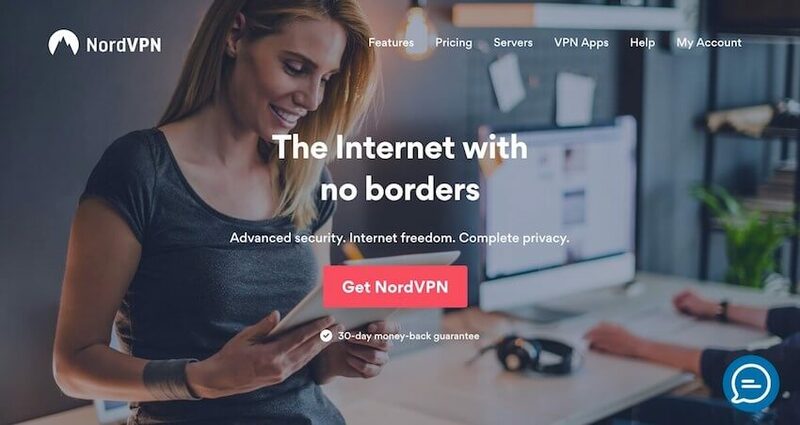 If you want a VPN that consistently works in China, but is not too expensive, NordVPN would be a good choice. NordVPN offers a large selection of apps for different devices and also allows up to six simultaneous connections. It works well with streaming Netflix and allows torrenting on all of its servers. NordVPN also offers some great privacy features, such as ad-blocking, double-hop VPN servers, and full leak protection. NordVPN has a strict no logs policy and is based in Panama, which is an excellent jurisdiction for privacy. NordVPN’s obfuscation features (Stealth VPN) allow you to easily get through the Great Firewall and Chinese censorship. They also have a huge selection of servers in their network, giving you lots of choices in Asia or abroad. Download the NordVPN apps for the devices you want to use in China. Enter your login credentials in the app. Enable the obfuscated servers by going to: Settings > Show advanced settings > “I know what I am doing” > Obfuscated Servers (toggle to On). 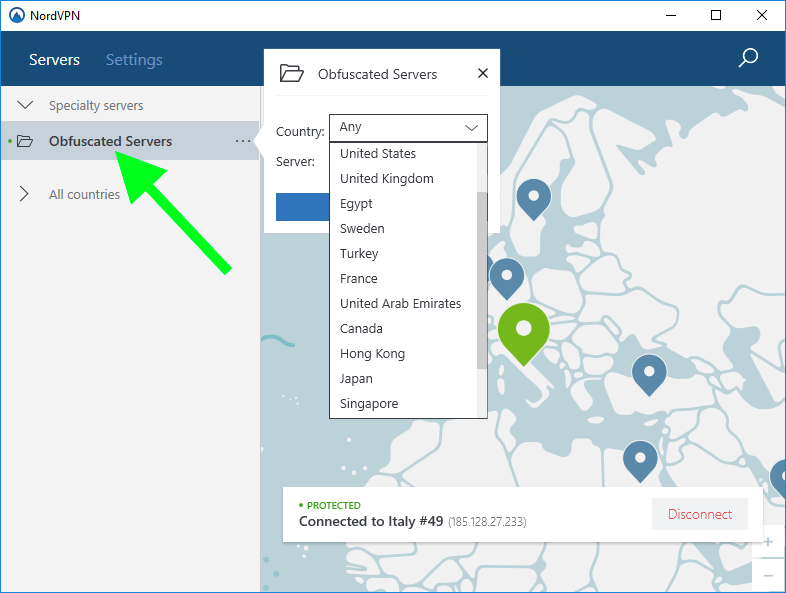 Now connect to one of the Obfuscated Servers by clicking on the Servers tab, then connecting automatically to the fastest server with one click, or manually select a server location. Enjoy using NordVPN in China. VPN.ac is a security-focused VPN that’s based in Romania. It offers excellent performance and works very well in China, even when other VPNs are not getting through the Great Firewall. While VPN.ac does not have as large of a server network as ExpressVPN or NordVPN, their servers do offer great speeds. For a smaller VPN provider, VPN.ac does well in many different areas, as explained in the VPN.ac review. The speeds are excellent and the apps have some great features. One minor drawback is that VPN.ac does keep basic connection logs for network security, but these are not activity logs and do not include any browsing history. Overall, VPN.ac is one of the best VPNs for China you will find, even if you have never heard about this smaller provider before. Go to the VPN.ac website and select a subscription plan. Download the apps for the devices you want to use in China, then log in through the app with your account credentials. Within the application, go to ADVANCED > and then select “I am in China or other censored country” (toggle on). 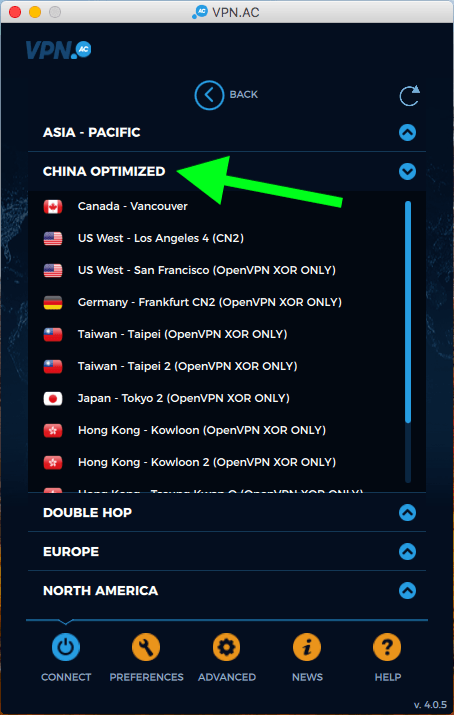 Then click CONNECT and select one of the servers from the list called CHINA OPTIMIZED. After selecting one of the “China Optimized” server location, toggle the VPN connection to ON. Enjoying using VPN.ac in China and having unrestricted internet. If you are already in China and need a VPN service, your best option is to go to VyprVPN’s mirror site here to purchase a VPN subscription and download the software you need to get around the Great Firewall. If you are not yet in China and can still access all the VPN sites, you will have an easier time getting everything setup and working properly. When you arrive back in China, simply start your VPN application and follow your VPN provider’s instructions for getting connected when in China. Some providers offer select servers for China users. These servers will utilize obfuscation (stealth VPN) to hide all OpenVPN traffic behind standard HTTPS encryption on port 443. Will VPNs always get around the Great Firewall? VPN restrictions in China always seem to be a cat-and-mouse game. While most VPNs are blocked and will simply not work in China, the ones on this page consistently defeat these blocks to get around the GFW without troubles. Occasionally, the Chinese government will roll out a new round of restrictions, which may temporarily block some providers. Fortunately, with the China VPNs recommended on this page, a server network update will usually fix that problem in a few hours. Fortunately, these temporary blocks are quite rare and the VPNs in this guide consistently work well. So while there are no guarantees, these China VPNs should work well, even with the latest round of blocks. What about a free VPN for China? Not only will free VPNs likely not work in China, they are also notorious for being malicious, dangerous, data collection tools. As explained in the free VPN guide, free VPNs are often used to collect data, which is then sold to third parties in order to monetize the “free VPN” software. But even if you tried to use a free VPN in China, it most likely would not even work. The China VPN providers on this page have devoted tremendous resources into their network and software to defeat the Great Firewall of China. An out-of-the-box free VPN would surely fail, simply because these free VPNs do not offer obfuscation features. The OpenVPN traffic would immediately be blocked thanks to deep packet inspection (DPI). Occasionally Chinese authorities will roll out a new method for blocking VPN traffic, which may temporarily block services in China. If none of these tips are working and you still can’t connect to your VPN in China, then simply reach out to your VPN provider for help. You can do this either through a direct email or via their website (if you can access it). If you are completely stuck and locked out of everything, and you want a fast solution, you can check out VyprVPN’s alternative page here to see if they are working and possibly use their services. Can a VPN unblock sites in China? Yes, a VPN is the best way to unblock websites in China and accessing the content you want. For more, see Wikipedia’s article on websites blocked in mainland China. 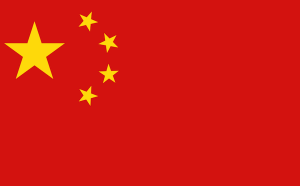 Yes, VPNs are perfectly legal in China. Nonetheless, the Chinese government is still working hard to prevent people from getting access to tools (VPNs) that can get around their censorship efforts. In March 2018 Chinese authorities issued an ambiguous statement about the use of VPNs. Actions and policies of the Chinese government suggest that it is illegal for Chinese residents to create VPN services/companies inside China, which would be made available to others in China, but personal use of a VPN appears to be completely legal. We do not recommend using any Chinese-based VPN services. In a move that angered many, both Apple and Google caved in to Chinese pressure and removed VPN applications from their app stores. This is also a major trend happening in the the United States: private tech companies caving in to censorship demands (discussed more in the VPN for USA guide). I have also not seen anything to suggest that it is illegal for people to bring VPN software with them into the country. Additionally, there are thousands of Chinese businesses that use VPNs for secure networking solutions, and this is also perfectly legal. But if you wanted to create your own VPN company based in Beijing that would help other Chinese residents evade censorship, that would probably be a bad idea. Bottom line: Using a VPN in China for personal use is perfectly legal and very common. Using an offshore (non-Chinese) VPN with a good track record (all of the VPNs in this guide) will further protect you from any issues. Despite the heavy censorship and restrictions that have been enacted in China, a VPN is a simple and easy solution that will consistently get through the Great Firewall and unblock content. While a good VPN will cost a few dollars per month, it is a small price to pay for getting completely unrestricted internet and access to all your favorite sites. Nonetheless, a good VPN is your key to an unrestricted, free, and private internet connection when you’re in China. Below is a recap of the best VPN services for China based on my testing and research. Another thing to mention is your VPN provider for tablet/mobile needs to have a working kill switch, so if it’s Android, would need to be Android 8.1 or above, none of the VPN apps have integrated kill switches as I think Android doesn’t support it in any version lower than that. I’m not sure if iOS supports kill switch. Any ideas? Hi Richard, it depends on the provider you are using, but sometimes you can import IKEv2 config files for the VPN server you want to use into your iOS device, which natively supports IPSec/IKEv2. Then, you can enable “Connect On Demand” in your settings, which forces all traffic through the VPN and blocks the connection if the tunnel is not established. While this is technically not a “kill switch” it effectively blocks all non-VPN traffic, keeping all data packets encrypted, hence achieving the same results.